A lovely coastal village blessed with a tremendous sandy bay, perfect for watersports. Beadnell is well known as one of the best equipped places in Northumberland for watersports, with the beach lending itself well to surfing, kitesurfing, windsurfing, sailing, scuba diving. The golden-sanded horse-shoe-shaped beach is hugged by sand dunes and has a small harbour at the north end, which is uniquely the only West-facing harbour on the East coast of England. There are beautiful lime kilns on the harbour which were built in the 18th Century. A ‘Rural Seaside Award’ winner, with the beach graded highly for its absence of litter. Beadnell is a very popular place for holiday-makers, it’s split between the area around the harbour, with interesting rock pools popular with children and the huge sandy bay. This gorgeous cafe in the centre of Beadnell, just next to St. Ebba’s church, has recently opened and is a refreshing cafe with a modern twist. They serve delicious breakfasts, tasty lunches and bistro-style evening meals. But book in advance to avoid disappointment as it’s a small, intimate place! Click HERE for the website. A family-friendly pub and restaurant in the heart of Beadnell with a great atmosphere and they serve food all day. They have regular live music, buskers nights and themed food nights too. There’s a designated dog-friendly area in the bar and the beer garden’s good too! It’s just round the corner from Mariners Cottage. Another lovely pub in Beadnell with a friendly bar and restaurant area. Food is served all day and their Sunday lunches are tasty! The Sea Breeze is an off-licence as well as the village post office, located on the sea front in Beadnell. The Chip Shop next door is open on Fridays only during the winter but open most days during the holiday season. All their fish comes from Seahouses just a few miles up the road, so it’s as fresh as you can get. Discover this quirky gem just down the road (heading south). Box Pizza is within walking distance of Beadnell Village and is a pretty courtyard with twinkly lights serving homemade fresh pizzas in a relaxed ‘beach vibe’ courtyard. Walk along from the village on a balmy evening and stroll back with a belly full! Pay them a visit and you’ll be pleasantly surprised. Click HERE to visit the website. There’s not much in the way of shops in Beadnell as it’s a quaint, traditional coastal village. If it’s pubs you’re after then you have a couple of great choices, but for food shopping you’d have to head up the road for a couple of miles to Seahouses (4 mins in the car), where you’ll find an incredibly well-stocked Co-Op, bakery, butchers and plenty of fish and chip shops! The only shop in Beadnell is The Sea Breeze, which is a little convenience store, off-licence and post office located on the sea front as you come into Beadnell. It sells other ‘beach’ equipment such as buckets, spades and other fun kids toys, but the shop is open seasonally. Throughout the main holiday months it’s open regularly but in the winter their opening times are short. Beadnell is most known amongst the more adventurous as the watersport ‘capital’ of Northumberland. From surfing to diving and boating to fishing, it’s all happening here in Beadnell – especially in the summer. Boards and Bikes are located just outside of Beadnell village. 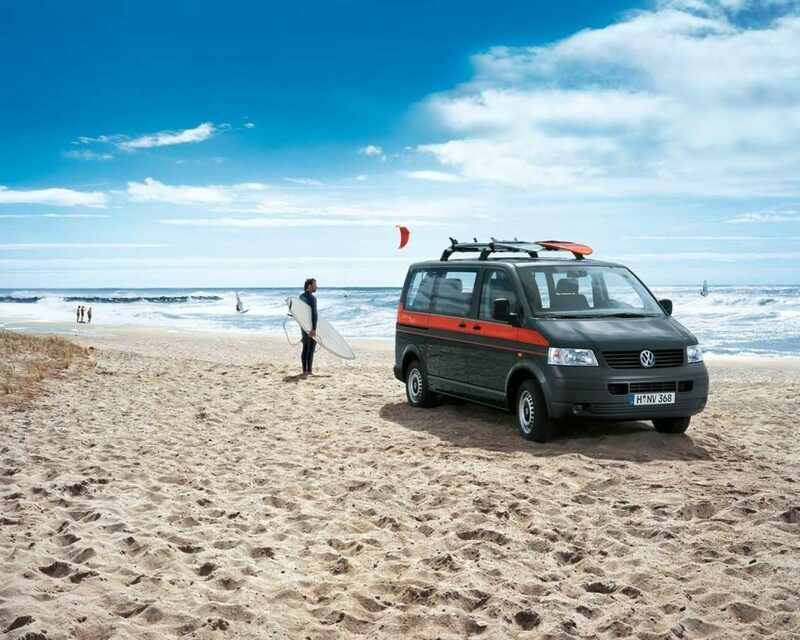 They offer surfing lessons, kayak adventures, hire of surf boards and body boards, wet suits and bikes. The guys who run Boards and Bikes are experts in exploring the Northumbrian outdoors, so they can also provide guiding services for snorkeling, cycling, surfing, walking and more. They’ll deliver to the door of your holiday cottage, you just need to choose your adventure, when and where, make your booking and they’ll come to you. This is perfect for teenagers who are looking to do something out of the ordinary! 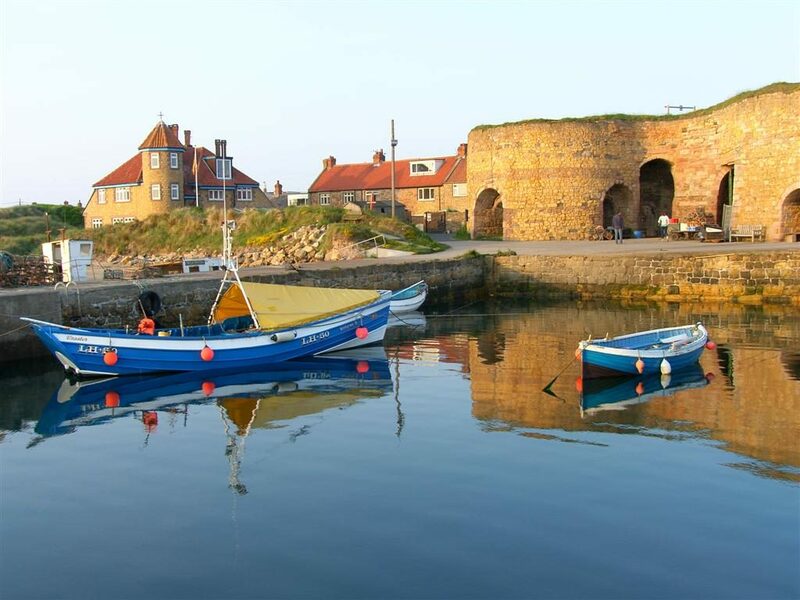 Beadnell has a long and rich history for such a small village, nestled deep in the north-Northumbrian coastline. Behind the famous harbour on Beadnell Point, you’ll find Ebbs Neuk Chapel which was built in the 13th century by King Oswald of Northumbria for his sister, Ebba. In the village you’ll find the pretty, red-stone built St. Ebba’s church, built in 1750. Although this is famously not as old as the Pele tower which was built in the 16th century, it provided protection from the Border Reivers attacks. The historic industrial background is based around coal, lime and smuggling. In 1762, a famous smuggling haul captured 2700 of illegal brandy! By 1827 the coal and lime industry had peaked and was diminishing in the area, and the prominent lime-kilns (built in the 18th century) at the harbour where left to rot. Small-scale fishing became the staple industry and the harbour still works today. The harbour is still privately owned after being gifted to the local fishermen in 1947 by the owner Sir John Craster. To read more on the history of Beadnell, visit the official Beadnell Bay website.